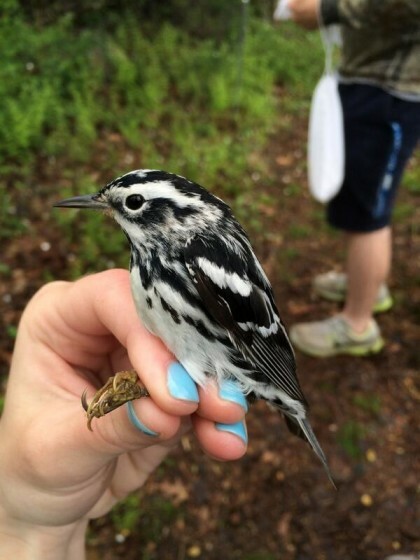 Black-and-White Warblers like this one photographed by Jill Mahar at Birdcraft Sanctuary in Fairfield require healthy forests. April 15, 2019 — Connecticut Audubon Society supporters have a once-in-a-decade chance to help shape the plan that steers critical decisions about the state’s forests and woodlands. The state’s Forest Action Plan, a roadmap used by Connecticut and federal conservation agencies, is being fully updated for the first time since 2010. The Connecticut Forest & Park Association is soliciting the public’s opinions about the plan, to be released next year. We want to know what you think. It’s as easy as taking a brief online survey, or, if you have more time, attending a roundtable discussion in June. What is the Forest Action Plan and why is it important? The Connecticut Forest Action Plan guides the policy, management, and financial decisions of the Connecticut Division of Forestry (part of the Department of Energy and Environmental Protection, or DEEP), the USDA Natural Resources Conservation Service, and the U.S. Forest Service. This plan analyzes conditions and trends of forests in Connecticut and lays out strategies and actions steps to best plan for the future of the forested landscape. The Connecticut Audubon Society and many other conservation groups use the plan to inform their work. Forests and woodlands are crucial to the health, well-being, and economy of Connecticut. To keep these forests and woodlands healthy requires thoughtful strategies, policies, and plans that consider input from residents who care about forests and woodlands for all sorts of reasons. As a Connecticut Audubon supporter, you can ensure that the views of people interested in protecting birds and wildlife habitat are represented. In doing so, you’ll influence the health and future of forests and woodlands across the state’s rural, suburban, and urban landscapes. The survey should take 10-15 minutes.